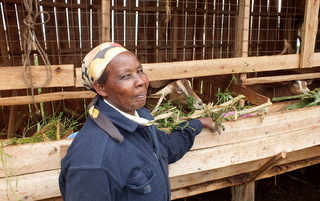 Gazelle Harambee » September 2013 Goat’s milk dairy cooperative in Kikuyu territory !! 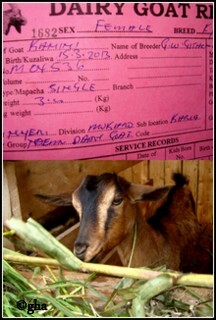 All the dairy goats of ” Mbuzi” project are arrived and comfortably installed in lovely shelters with abundant food and fresh water on demand !!! All with a pedigree and registered, they are divided in 3 different sites. This goat’s milk dairy cooperative is exclusively organised and administrated by the women of the “kite women group ” and this is a real chance for them in charge of many children. This cooperative is a real dynamic economic which could help, and we hope so, those families to get a better life. October 2013 GHA commits itself in Benin.